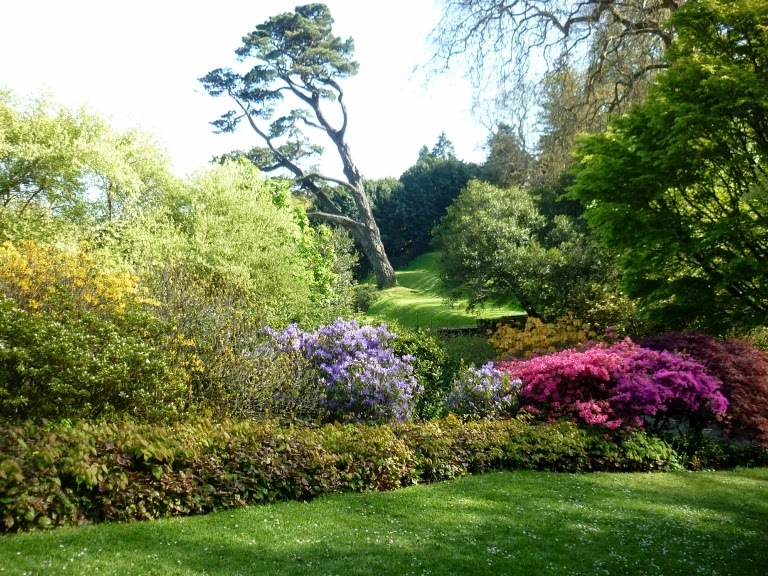 We all know that when the wind speeds get up above about fifty miles per hour that we can expect damage – and especially to trees. It is rather unfair to dig up the past, but those of us who watched the weather forecast on 15 July 1987 will remember a comment from Michael Fish who was presenting the programme. 'Earlier on today,' he said, 'a woman rang the BBC and said she heard there was a hurricane on the way. Well, if you're watching, don't worry, there isn't'. Later that evening we were hit by a violent storm with gusts in excess of a hundred and twenty miles per hour tearing down power lines – and toppling trees many of which caused serious structural damage to buildings as the fell. This is the earliest photograph of the tree that I have in my collection. It was taken by my sister-in-law in March 2004. One odd outcome that followed that storm was that, over the next few weeks, the emergency services were sometimes overwhelmed by the accidents to people who, either because a tree was causing them problems or they decided there were opportunities to make a fast buck, bought themselves chainsaws to saw up the timber but, lacking experience, injured themselves – often quite badly. All of which brings me to the fact that what one does not expect is for a tree to fall when there hardly a breath of wind nor a cloud in the sky. It has happened twice to my knowledge although I did not witness the actually fall in either case. The last photograph I was to take of the tree, June 2014. 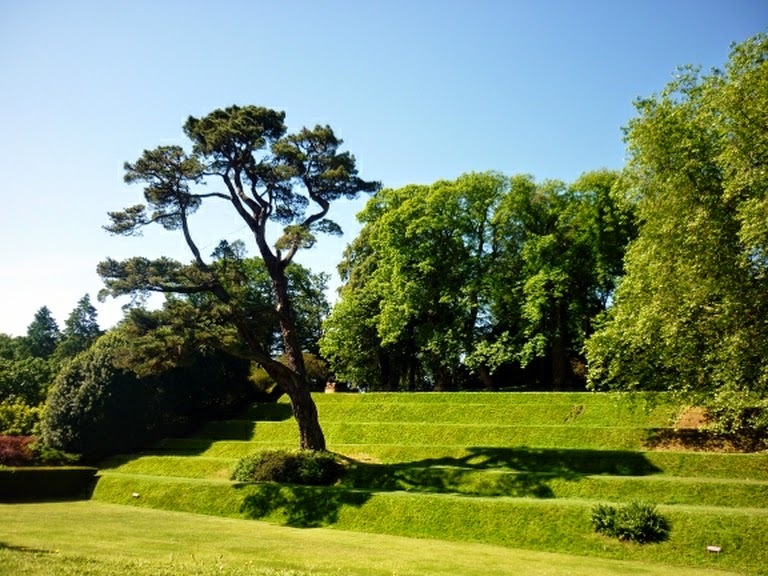 Then, the other day, the same thing happened to a pine here in Dartington. Again nobody was hurt. 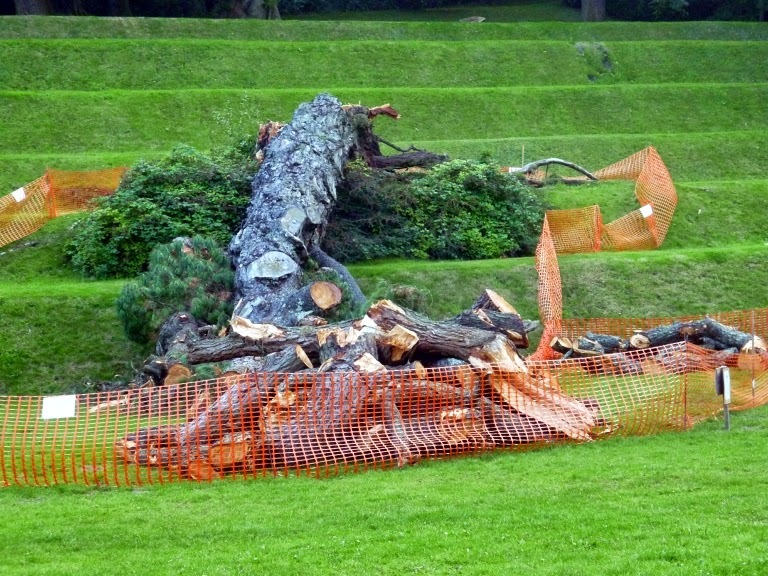 Anyway, the pictures tell the story and, as you can see, the tree is being sawn up. 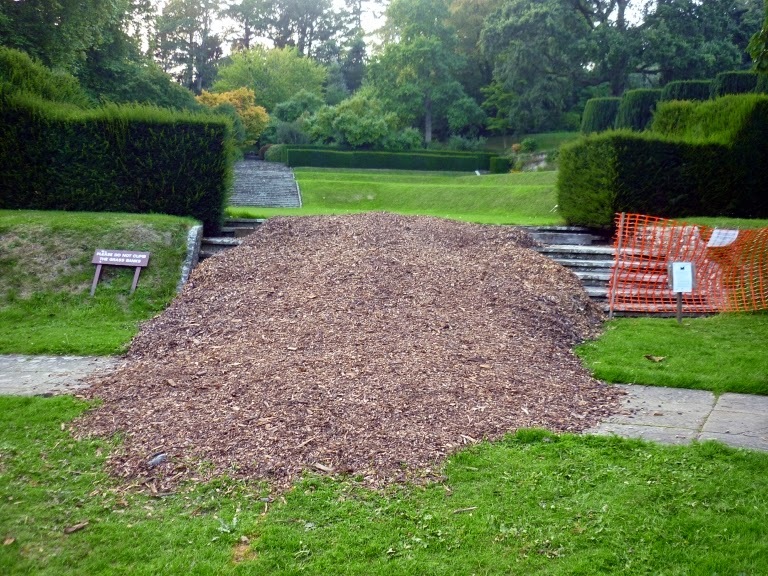 The smaller branches have been chipped and the chips used to create a soft bank over the steps leading to the rough area below down which the larger parts of the tree will be rolled by hand to where heavy lifting equipment can be brought. Meanwhile I have news of another literary festival. This is on a completely different scale to Ways With Words or any of the other literary festivals. For a start you can attend the literary events (which take place during the day) free of charge although it will cost you five pounds to go along to the village hall and take in a couple of hours of musical entertainment in the evening. The key to this festival (this is its fifth year) is that it ends up in a village hall. 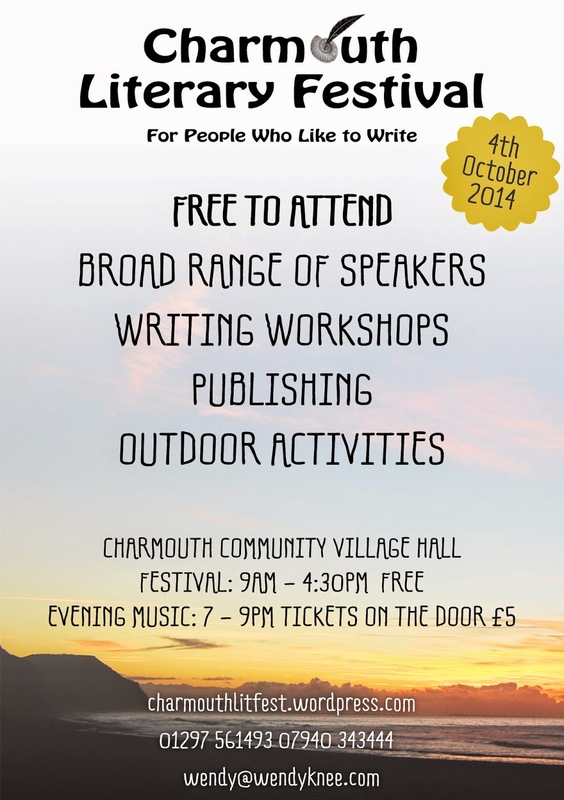 Quote from the website: 'The Charmouth Literary Festival is very much a village affair and we want you to enjoy a day of words and music in a relaxed easy manner, having the added advantage of being located in a beautiful place by the sea. 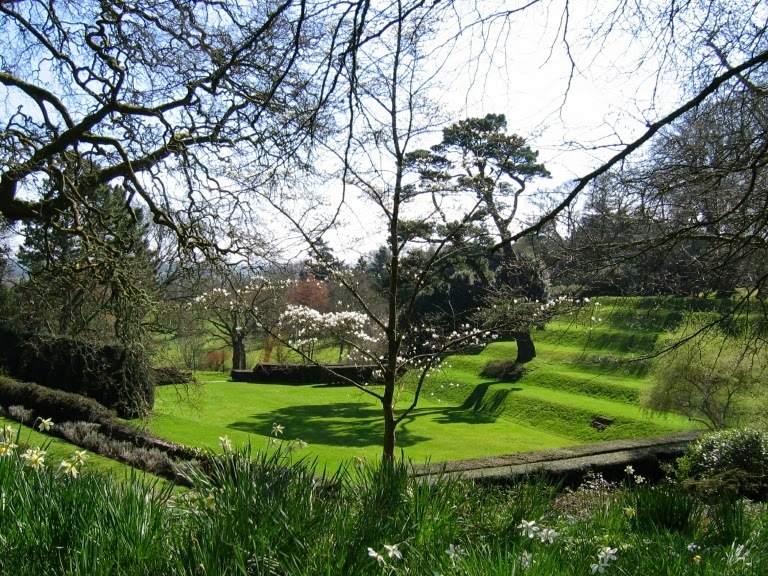 Bring a picnic lunch if you wish, come with a friend or come alone and enjoy a literary day with a little night music.' Anyway, since I rather like the idea of small festivals of this sort, I thought I would tell you about it. 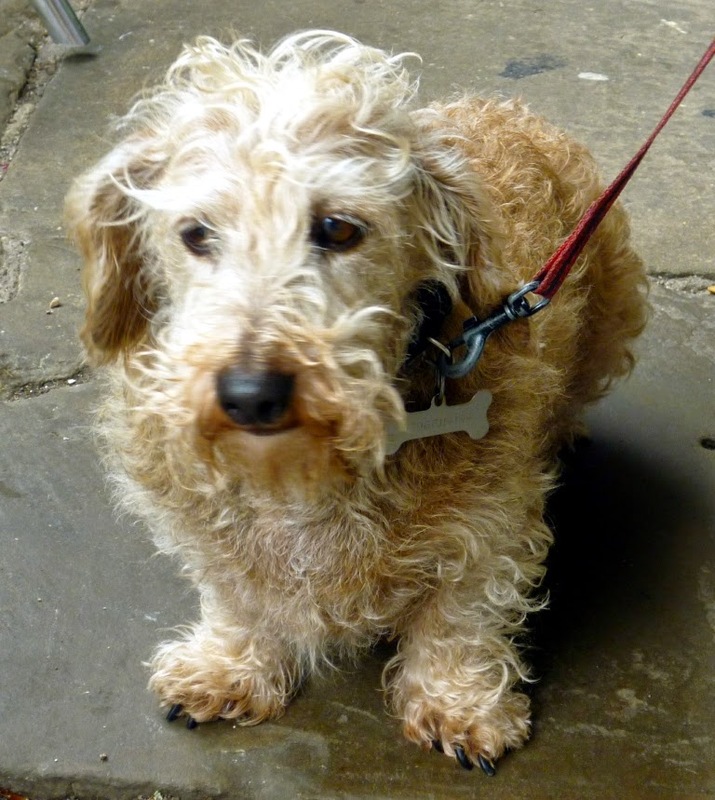 This wire-haired dachshund (a breed both of us love and one we are tempted to try out even though we have said 'no more dogs') answers to the name of Brian - unless, of course, he has other thoughts in his mind in which case . . .